"Caregiving is a stressful time. Eating right and getting proper nutrition is an important way to strengthen the body to help withstand and fight this stress. This webinar provides helpful tips for the caregiver." Susan Bratton, CEO of Meals to Heal. Meals to Heal, a national provider of nutrition services, including home delivery of fresh meals, curated evidence-based cancer nutrition information and telephonic nutritional coaching services for cancer patients and cancer caregivers will host a free webinar on Wednesday, March 19th 7-8pm EDT. Those interested can register for Eat Your Way to Less Stress: Strategies for Nutrition and Empowered Caregiving free of charge. The webinar will address strategies and healthy and simple approaches to food shopping and meal preparation for you and your loved ones. Co-produced by The Caregiver Space, an online support network for family caregivers, the webinar will also contribute guidance and approaches to managing the stress that caregiving often elicits. 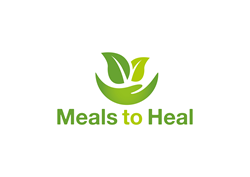 The webinar will be led by oncology dietician Jennifer Wolfshohl, MS, RD, CDN, CSO of Meals to Heal and facilitated by Jonah Okun, development director for The Caregiver Space.